The new laws amending the Russian Constitution to extend the term of office for the president and the State Duma were signed by Russian President Dmitry Medvedev on Tuesday. The law states that the president is elected for a term of six years which is up from the previous period of four years. Members of the State Duma will now be elected into office for a period of five years, as opposed to its current four. After being passed by the State Duma on 21 November and the Federal Council on 26 November, the amendments were just a Presidential signature away from becoming law. The amendments were first proposed by Medvedev at his state-of-the-nation address in November. The new laws, though official, will not affect the current administration or house of parliament and will come into effect after the next election. 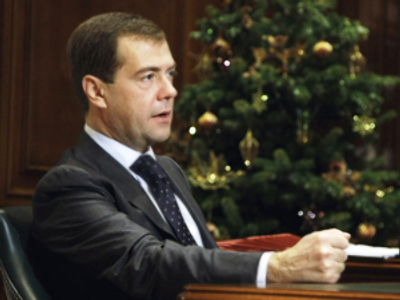 President Medvedev also signed a law requiring the Russian government to report annually to the State Duma. This law will come into immediate effect. These are the first amendments to the constitution in its 15-year history.